Dedicated link, dial-out, dial-in, or dial-on-demand combinations, PPP, PPPoE. Firewall Router founctions are easily implemented with the port-filter firewall configuration, port redirect, and NAT router configuration. 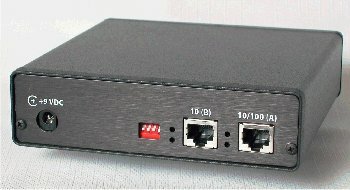 These make it an ideal small firewall hardware device or NAT router. One serial port may be used as a UDP terminal server. This functionality is compatible with DCB's EtherPoll products and is ideal for remote industrial installations. 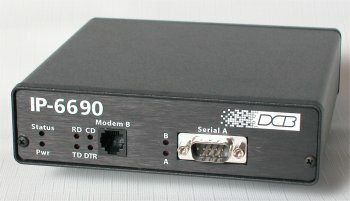 An application note that details the steps of configuring a pair of IP-6600 routers to perform automatic dial-up to back up a remote connection using dial modems. Includes a sample configuration for bench testing.